One of my goals for the year is to take a few sewing / quilting classes to learn and work on new techniques. 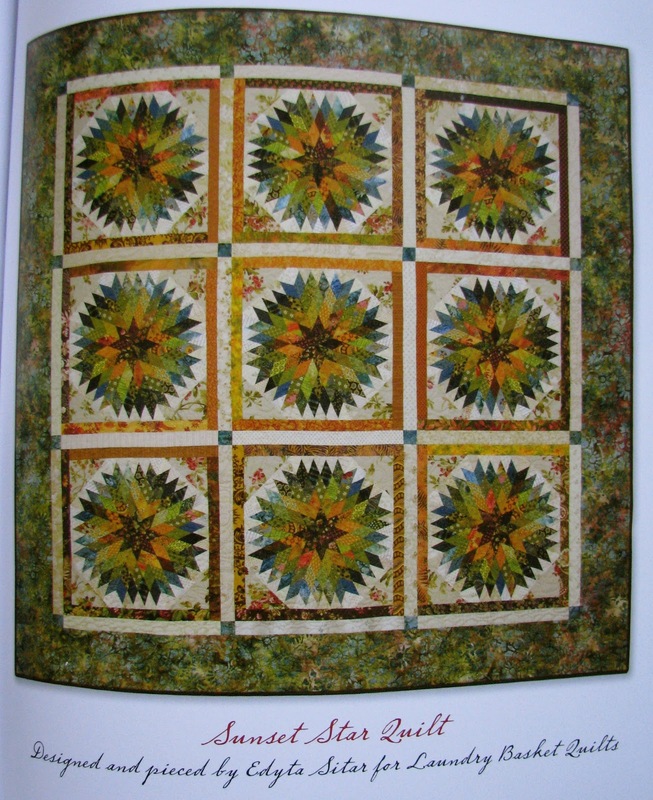 I started on that a few weekends ago when my mom and I took a class on the Sunset Star quilt from Edyta Sitar's book, Scrappy Firework Quilts. I signed up for the class a couple months ahead of time and spent most of the time leading up to the class wondering what fabrics I was going to use. I wanted to only use fabrics from my stash and had planned to make just one block and finish it as a wall hanging. My initial thoughts on color were to use softer pinks and oranges, set against a low-volume white/cream background. As the class drew closer, I still wasn't 100% sure on pink and orange, so pulled a few multi-colored fabrics from my stash, to see if any of them sparked an idea for a new color palette. I also pulled a couple options closer to the original color palette I had envisioned. Still not having a "this is it!" 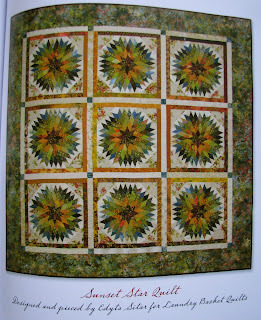 moment, I pulled out my current favorite source of inspiration, Quilting from Little Things. When I got to the "A Wing and a Prayer" quilt, inspiration struck. I needed to go darker and add brown. I started pulling fabrics from my stash - dark browns, dark pink/reds, oranges and golds. 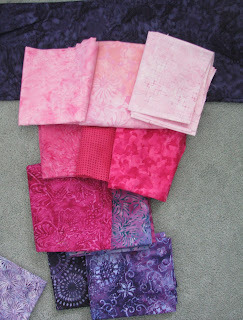 I fanned out the fabrics to mimic the look of the starburst block they would become. I added and swapped some fabrics to finalize my selection and also took some photos, which I changed to black and white on my computer to check that the values of the fabrics were overall going from dark to light from the inside to the outside of the ring, with a bit of overlap between rows so that they would blend nicely. Next time around I'll talk through the rest of the prep work for class, as well as some tips on strip-piecing I picked up in the class and a bit of what I'm thinking for the overall quilt design. But first - how about a look at the fabric pulls I did w/ my mom for her block? (She stuck to the one-block wallhanging idea). Like me, my mom also wanted to just use fabrics from her stash - batiks in particular. We pulled out all of her batiks and spread them across her living room floor. It was fun to sit in the middle of all the fabrics and start matching things up. Here are the three options we came up with. First, a pink and purple option. We started with one of the fabrics at the bottom of the photo and went from there. In this case the light pink fabrics would make up the outer ring of the starburst, so a dark background made more sense. It happened that my mom had some yardage of a dark purple that worked perfectly for this option. This picture doesn't do the colors justice - in real life that background fabric is a deep purple and less black than it looks here. I liked this option, but it was my least favorite of the three. I really like this pine tree fabric and think it would be so fun to make a big bed quilt with this combination; definitely makes me think of cabins and the north woods. So, which did she pick? Tune in next time to find out and see her [amazing] completed block. I am waiting for that block!